We’ve also been investing in ways to help you capture your life’s most important moments in VR. 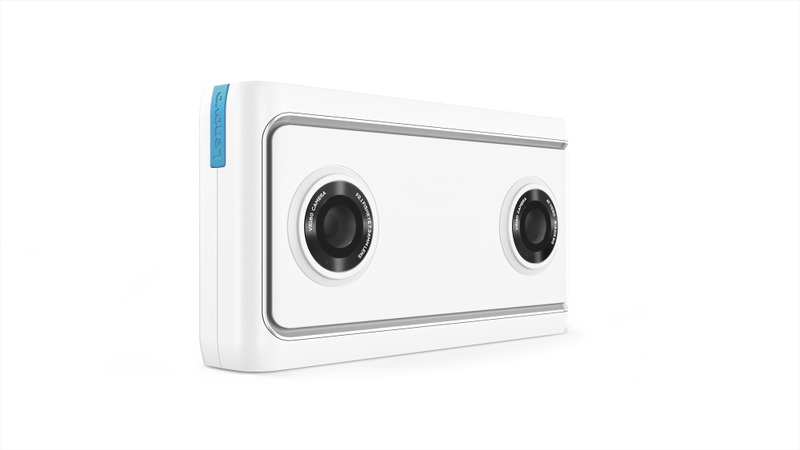 We’ve designed high-quality, yet simple and pocket-sized cameras that anyone can use with just the click of a button. 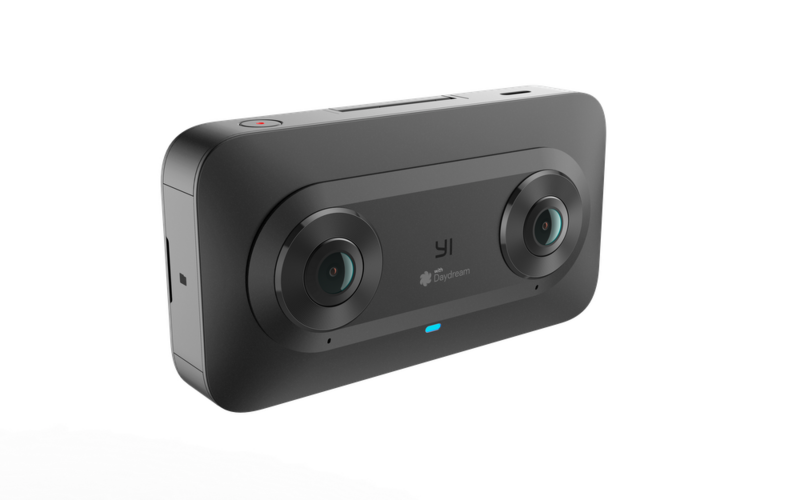 Our partners Lenovo and YI are sharing more on these, and they’ll be available beginning in the second quarter this year. 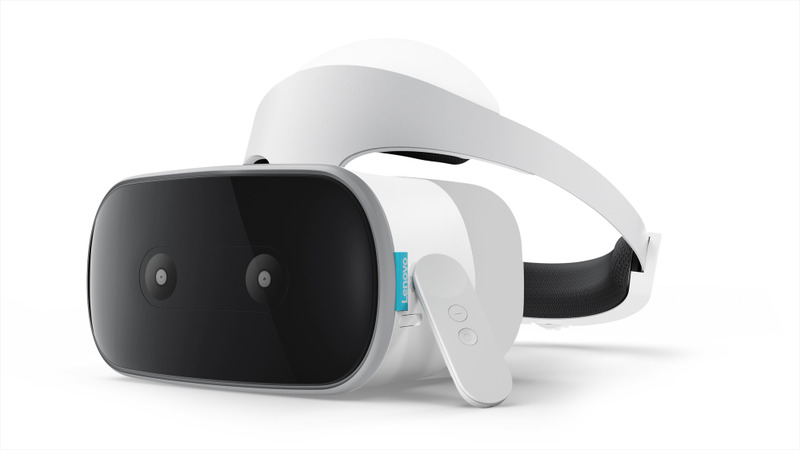 The Lenovo Mirage Solo builds on everything that’s great about smartphone-based VR—portability and ease of use—and it delivers an even more immersive virtual reality experience. You don’t need a smartphone to use it: you just pick it up, put it on, and you’re ready to go. The headset is more comfortable and natural because of a new technology we created at Google called WorldSense. Based on years of investment in simultaneous localization and mapping (SLAM), it enables PC-quality positional tracking on a mobile device without the need for any additional external sensors. WorldSense lets you duck, dodge and lean, and step backwards, forwards or side to side, unlocking new gameplay elements that bring the virtual world to life. WorldSense tracking and Mirage Solo’s high performance graphics mean that the objects you see will stay fixed in place just like in the real world, no matter which way you tilt or move your head. The Lenovo Mirage Solo will also have a wide field of view for great immersion, and an advanced display optimized for virtual reality, so everything you see stays crystal clear. It’s the best way to access Daydream. We also want to hear from you. Starting today, we’re launching a VR180 contest: tell us about a special memory you’d like to capture, and we’ll work with the winners to bring their ideas to life.